None of us slept very well last night, worried about being behind schedule, about the creek crossing ahead and getting over the pass, the highest point on the PCT. We’re hiking with another hiker named Frederik, as it is very helpful to have a group in this terrain. Our morning was mostly walking over snow until we got to the creek crossing. It was raging but we found a place to ford before too long. 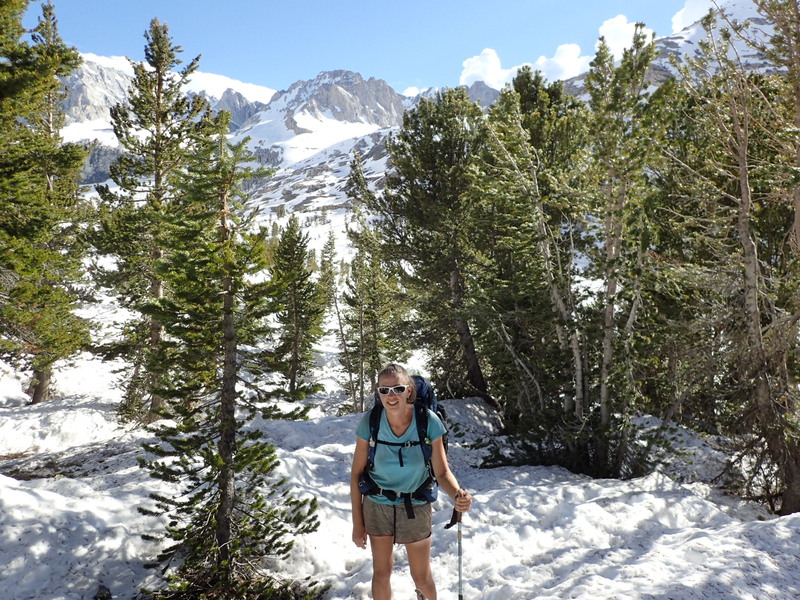 From there we headed uphill through another snowfield toward the pass, taking advantage of dry ground whenever we saw it. The pass itself looks pretty scary from down below, and the closer we got to it the more nervous we became. At over 12,000 feet, the altitude had me a bit naseous. 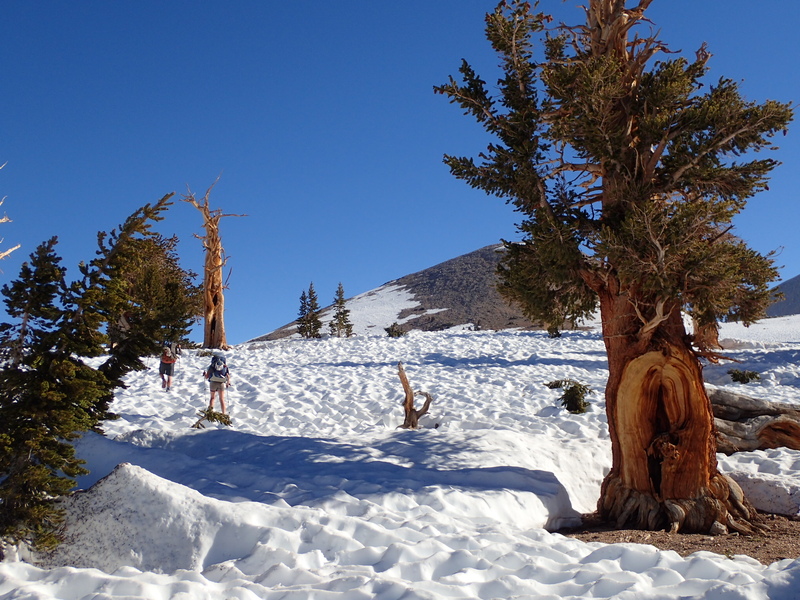 We had not seen other hikers all day when we saw two traversing the snowfield in the opposite direction. (Had they turned back?) We were all in a pretty negative headspace but wanted to get as close to the pass as possible, to cross if possible or get up very early in the morning. The approach to the pass itself was covered in snow, so we had to traverse uphill across the snow to get to the exposed switchbacks. Just as things were getting scary some hikers yelled down to us from up on the trail, directing us where to go. 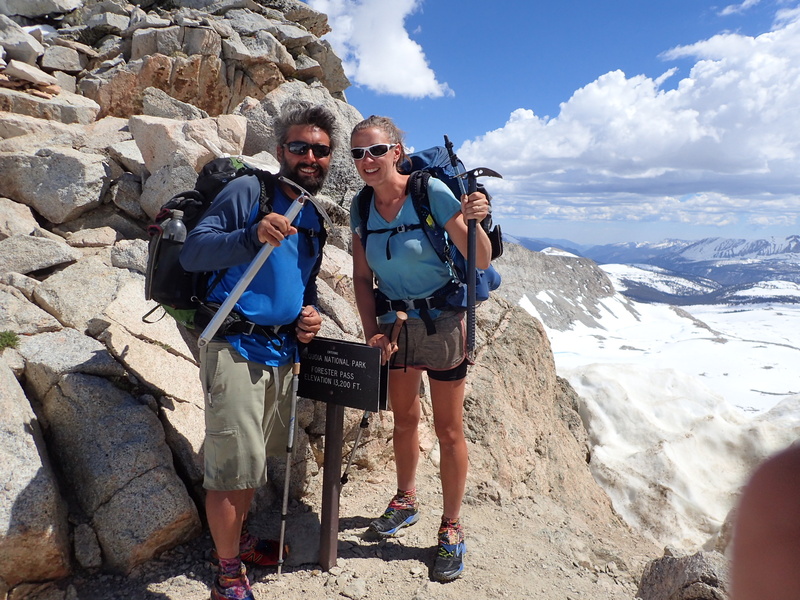 (We later learned from these helpful folks that the two hikers we saw headed the other way were simply headed south, coming up from Kearsarge Pass). Seeing other people was such a morale booster! We made it up to the switchbacks, committed by this point to cross. 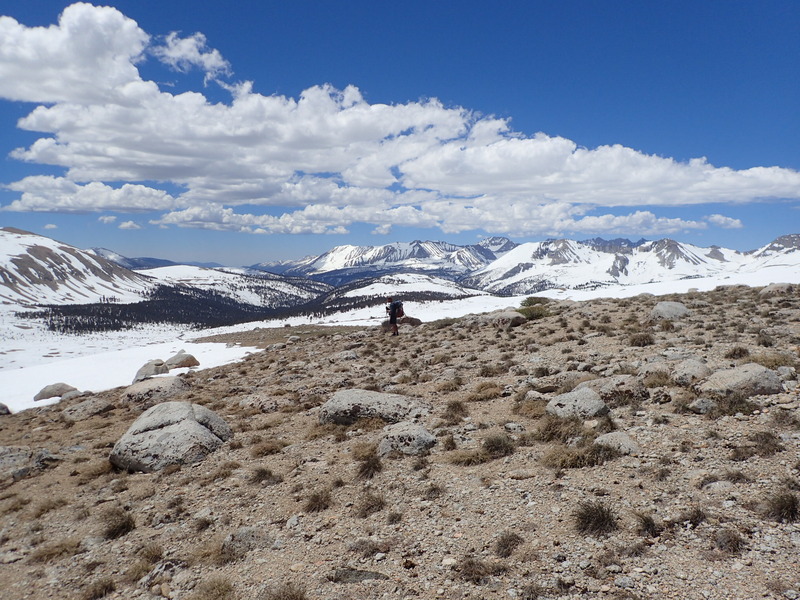 We had one more scary traverse on the way up, and then we were on the highest point on the PCT! 13,200 feet! The entire descent was across snow, and we had one more creek crossing to contend with, but it was easier knowing we’d made it over. We even did a little glissading! 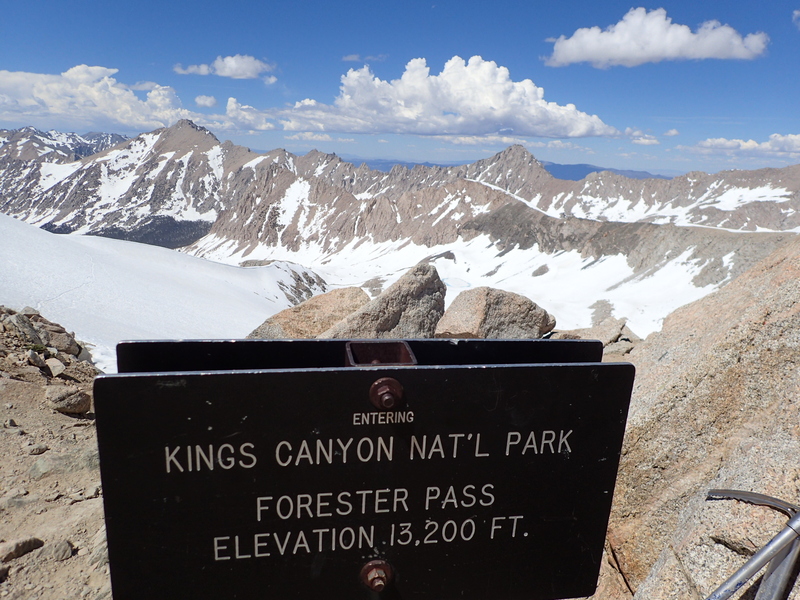 We are now 4 miles from the side trail junction to Kearsarge Pass, which we will take to get into town. In total we have about 12 miles to hike to get there. Tonight we are camped 13.3 miles from where we started, on one of the few patches of dry land we could find amid all the melting snow. It feels nice to be on solid ground. It feels nice to be getting closer to civilization. It feels nice to have the scariest part of this section behind us. Thanks Peggy, we figured everyone would be worried since we had no cell service for over a week! Thanks! Hope you weren’t too worried!